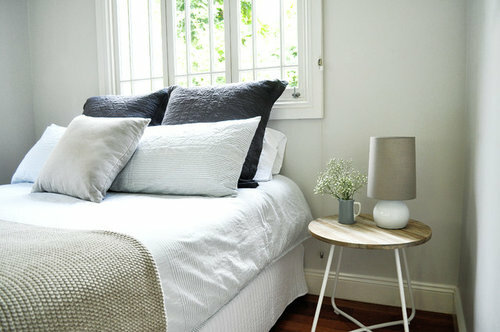 can you please tell me where the bedding is from? thank you. This room was completed a few years ago now. You might find similar linen in Adairs. Can you tell me about this sideboard? If you were a piece of furniture, what kind would you be? Which position have you put your bed in and why? BATHROOM TILES- MITRED EDGES OR ALUMINIUM STRIPS? Where can I move the main entrance to house to improve flow?